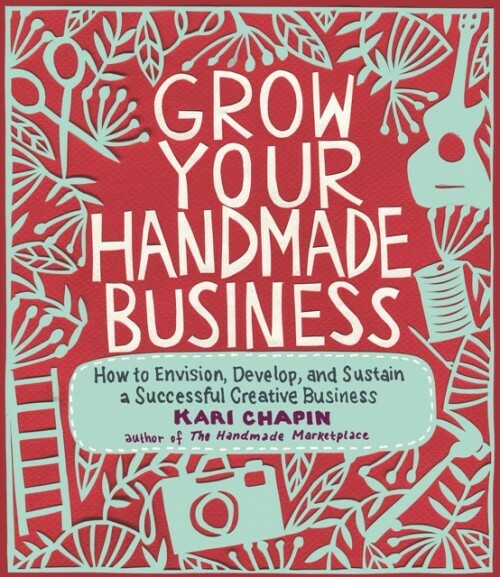 Grow Your Handmade Business : How to Envision, Develop and Sustain a Successful Creative Business is written by Kari Chapin, the same lady who wrote the popular guide to selling things you make, The Handmade Marketplace. Where The Handmade Marketplace focused on marketing your designs and projects for sale, this book focuses on how to build a business. It's a good book for anyone who feels overwhelmed when they start thinking about going professional to sell their goods. You wouldn't expect a reference about business to be engaging, this is engaging and informative. Since the author really loves the DIY/handmade movement, that passion shows. There are lots of contributors who add their own stories and how to apply those tricks to your own business. I actually read the book cover to cover while sitting in my yard in an afternoon. She does a wonderful job of explaining how to write a business plan that you can present to banks for loans. It becomes a lot less scary when you see it laid out in a friendly, conversational tone. She explains it in detail in easy to understand language. She also has a section on choosing mentors. It defines different kinds of mentors. It also explains a bit about the mentoring process and how to find one through your local SBA. How to approach someone as a possible mentor and what to do if your are approached. The section on plans and goals also explains how to manage them so you can handle them without being overwhelmed. Your plan and goals can be as flexible as you want them to be following her tips. The idea of setting an objective to reach and then making goals that are achievable to reach that objective is a good tip for business and for life. A chapter on profit and loss explains with tabled examples and clear language how to create profit and loss statements to work out how well your business is doing. There are a lot more things covered in this book, how to visualize exactly where you want your business to be in the future. It also explains some of the warning signs you might be on the wrong track. Personally anecdotes serve as examples and illustrations of the methods explained. 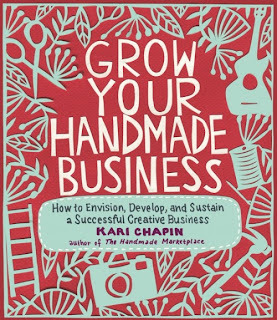 If you're ready to start growing your crafty business, but don't know where to start, I recommend this book. It's very easy to read and understand, and full of information. It breaks things down into easy to handle steps so it's not so overwhelming. While the focus is on creative businesses, the techniques, tips and information apply well to most small businesses.